We have software that can draw the concept sought by our client to have a result in 3D and then present them with a concrete result. 3D Drawing is an important industrial art extensively used in many applications, including automotive, shipbuilding, and aerospace industries, industrial and architectural design, prosthetics, and many more. 3D Drawing is also widely used to produce computer animation for special effects in movies, advertising and technical manuals. Thanks to 3D drawing we can give you a more visual plan of what the final result will be. We have several devices that are equipped with LED technology. This is the best possible quality of light and is an advanced formula. LEDs are used as indicator lamps in many devices and are increasingly used for other lighting. The lack of IR/heat radiation makes LEDs ideal for stage lights using banks of RGB LEDs that can easily change color and decrease heating from traditional stage lighting, as well as medical lighting where IR-radiation can be harmful. In energy conservation, LED's lower heat output also means air conditioning(cooling) systems have less heat to dispose of, reducing carbon emmissions. LEDs are small, durable and need little power, so they are used in hand held devices such as flashlights. LED strobe lights or camera flashes operate at a safe, low voltage, instead of the 250+ volts commonly found in xenon flashlamp-based lighting. 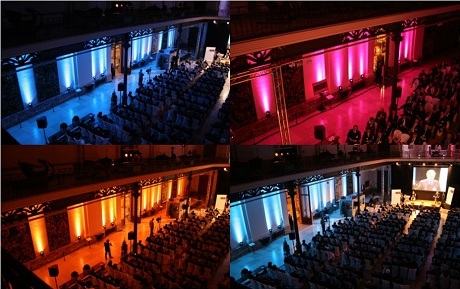 We provide the best equipment for traditional and automatic lighting. Shortly, we will offer the architectural lighting. Lighting is integral in making special events special. 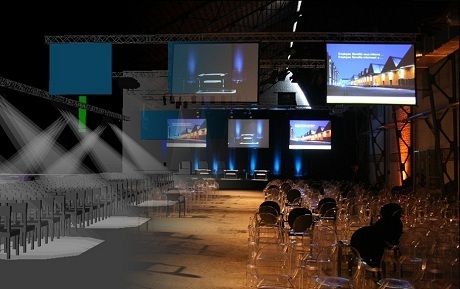 Lighting can create atmosphere, provide cues and segues for presentations, and highlight decor and architecture. 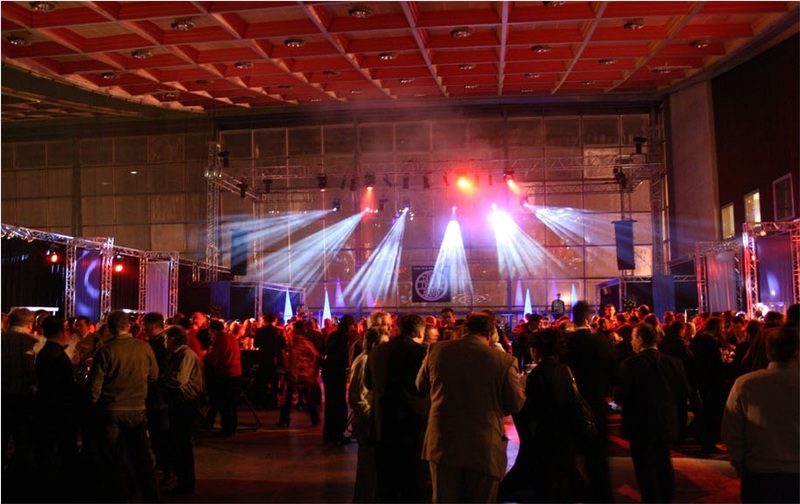 Increasingly, lighting not only highlights the decor, it is the decor, turning tent walls into planet-scapes and casting corporate logos on dance floors. 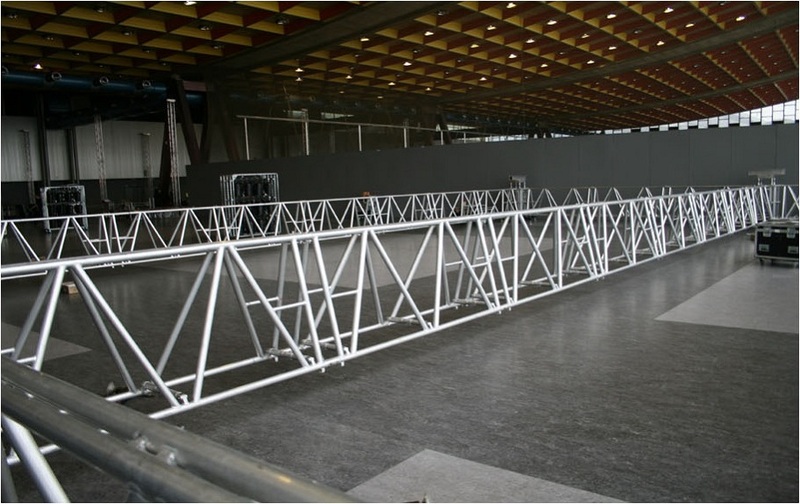 We have special trussing design so that our equipment fit perfectly with your ideas. We’re also offering stage cover. Trussing is very important on any event, because if there wouldn't be any trussing then there wouldn't have existed the possibility to hang all those lights, leds and speakers up. 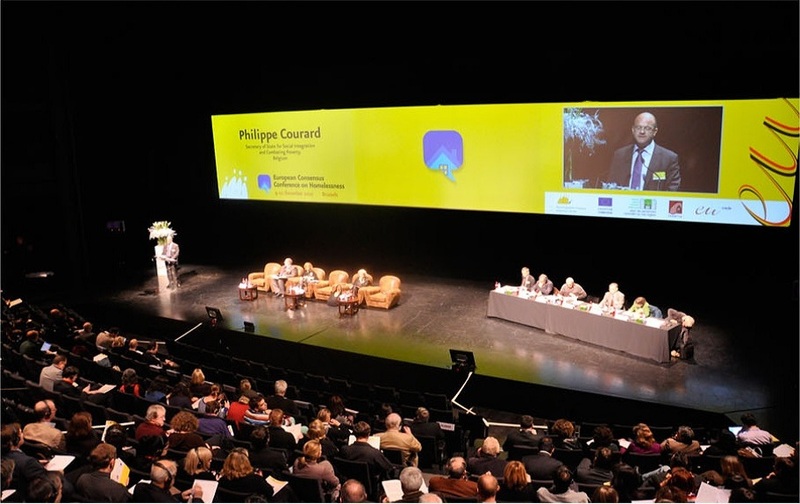 We have different screen for all kind of videos to make outstanding conferences and shows. Thanks to our high tech system in video projection we can offer your many types of on screen projection. We can go deliver you a simple video projection for a small conference or go big and project your video on multiple screens at once with the possibility of video-in-video projection for a big conference. Everything is possible nowadays with the current technology, nothing is impossible if it comes to video projection. We have the best audio system to make an impeccable sound for all kind of performances. We're offering amplifiers, sources and consoles. 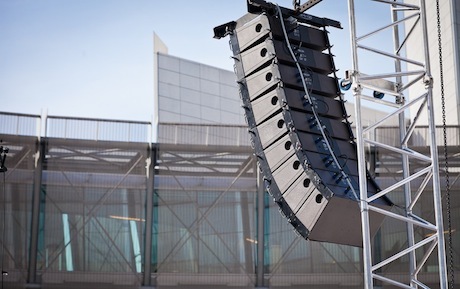 With our knowledge and experience in sound material we can make every sound produced sound even better thanks to the placement of our sound equipment. The time is over when you could've put 2 speakers in a room and were you hoped that the sound would be "ok". We offer you our knowledge in that domain. We will make it that every sound produced sounds good to your hear without distortion or echos.